The company opened its first store in 1984. In the 1990s, the chain operated stores in Alabama, California, Colorado, Connecticut, Florida, Illinois, Indiana, Kansas, Kentucky, Massachusetts, Michigan, Minnesota, Missouri, New Hampshire, New Jersey, New Mexico, New York, Nevada, North Carolina, Ohio, Oklahoma, Oregon, Pennsylvania, Rhode Island, South Dakota, Texas, Virginia, Wisconsin, and Puerto Rico. 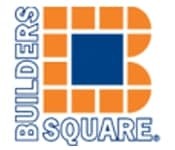 In 1997, Kmart sold the Builders Square chain (162 stores) to Leonard Green & Partners (Hechinger) for $10 million. The parent company filed for bankruptcy in 1999, followed by the closure of several stores and the sale of others to The Home Depot.